I visited the Nooch 2 (the one on No. 3 Road) twice this month. Both times it was sunny and the many windows of the restaurant made the white decor even brighter. It is a nice, quiet but bright place to chat with friends and catch up. 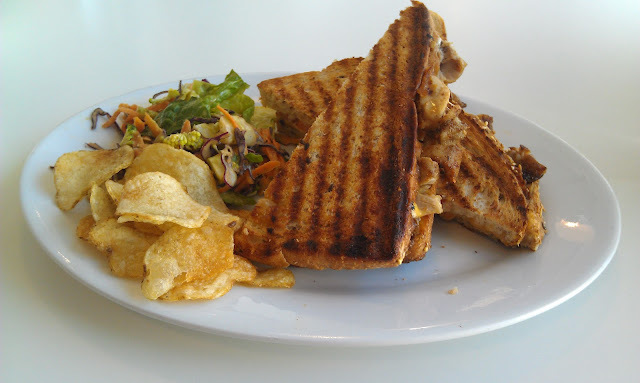 I had the Roast Chicken Panini ($8 menu price) which came with a vinaigrette salad and some crunchy chips. This was a delicious panini! The bread was probably buttered and grilled so it was nice and crunchy like a grilled cheese sandwich. There were cubes/strips of chicken with a good amount of cheese to hold it all together. YUM! The second time I went, I had the Veggie Panini. I opted for no chips this time so they gave me more salad. The bread was not grilled as nicely as last time (looks less golden brown than the last picture too). I think the mushrooms and veggies were more moist than the chicken so the bread was naturally a bit more soggy and less crunchy. I like the Chicken Panini more. 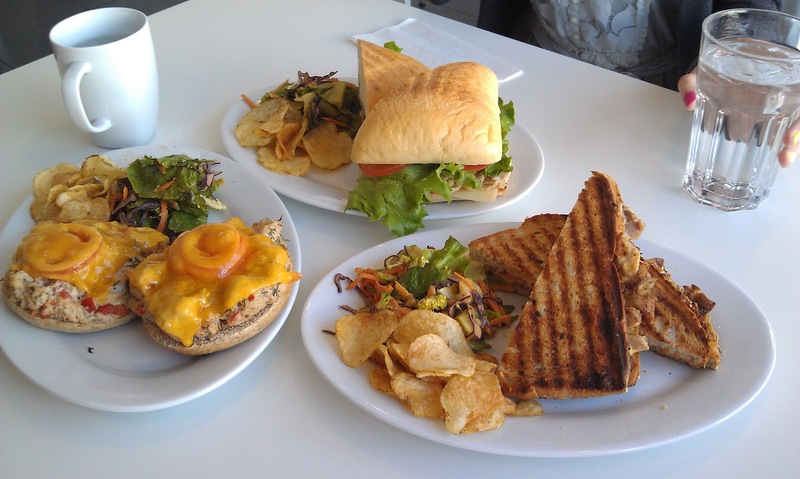 Overall, I like eating at Nooch for the reasons it promotes itself: Snack + Chill. Not to mention the food is generally more healthy than places like bubble tea houses which also promote itself as a place to chill. Since there weren't that many people we could sit as long as we want to talk. The only bad thing about Nooch is their limited opening hours since they're not open for a later evening snack.